For generations, members of the Bellamy family have lived in Garr Castle, an actual European castle brought to America stone by stone and maintained as a tourist attraction. According to family lore, a mysterious archer has appeared in times of trouble to protect the Bellamys. Now that Abel Bellamy has managed to put his brother (and rightful heir) Michael out of the way (framing him and then arranging for the derailment of the train taking him to prison), he has closed Garr Castle to the public and is using it as a base of operations for his diverse criminal enterprises. 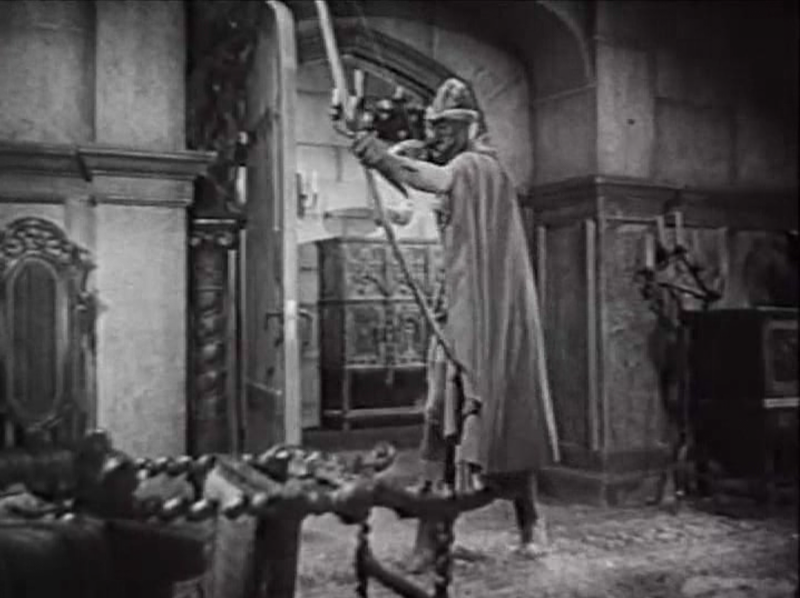 His henchman Brad, dressed in the Green Archer’s costume and mask, serves to keep intruders off the property and keep alive the legend of the family’s protector. 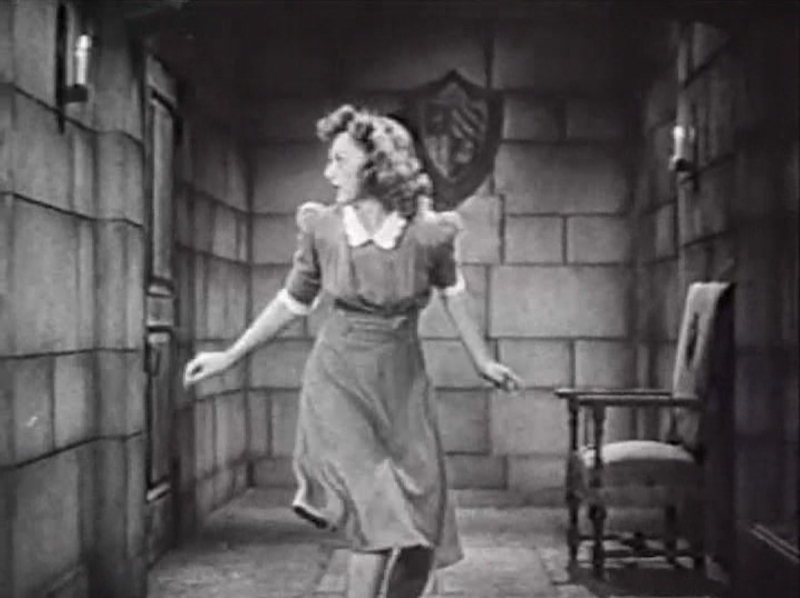 Abel even goes so far as to invite Michael’s wife Elaine to the castle and then hold her prisoner, guarded by the matronly Mrs. Poole in one of the secret chambers that honeycomb the castle. Despite his aloof posture, Abel doesn’t quite have everything under control: insurance investigator (and friend of Michael Bellamy) Spike Holland has been snooping around, suspicious of Abel’s version of events. He’s even arranged to move Elaine’s sister Valerie Howett and their father into the Lady’s Manor next door to the castle so they can keep an eye on Abel’s comings and goings. Worst of all, another Green Archer has inserted himself, sending warnings via arrow and protecting Spike and the Howetts from Abel’s deadly schemes, and this Green Archer seems to know the castle grounds and its secret passages as well as any of Abel’s henchmen. 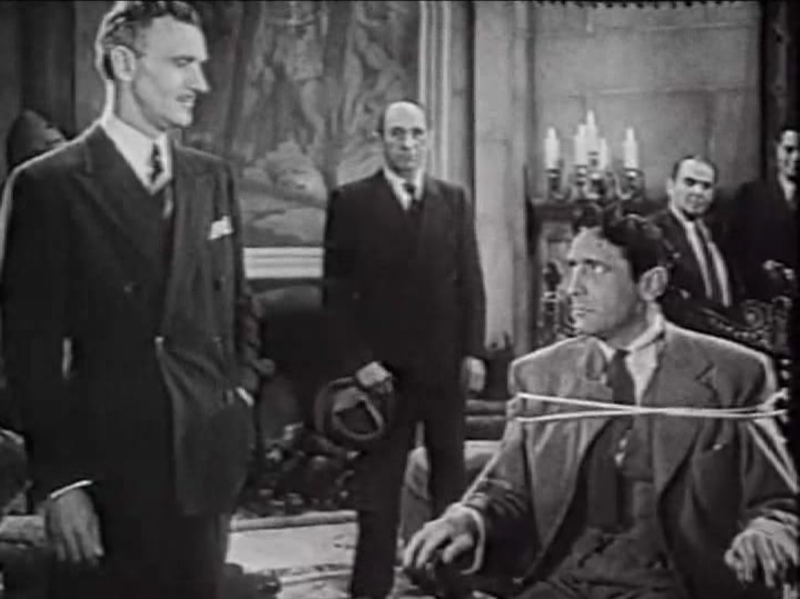 With the stranger’s help, Spike Holland hopes to bring Abel Bellamy to justice, clear Michael’s name, and rescue Elaine in the action-packed 1940 serial The Green Archer! It’s fair to say that archery has experienced a tremendous vogue in the last decade and a half, probably beginning with Orlando Bloom’s portrayal of Legolas in Peter Jackson’s adaptation of The Lord of the Rings and getting major boosts from Jennifer Lawrence’s Katniss Everdeen in The Hunger Games, a renaissance in both comics and films for Marvel’s Hawkeye, and the popularity of DC’s Green Arrow on TV’s Arrow. But archers have always had at least some presence in popular culture, most descending from Robin Hood, to whom the Green Archer owes a debt in terms of costume, methods, and mission. 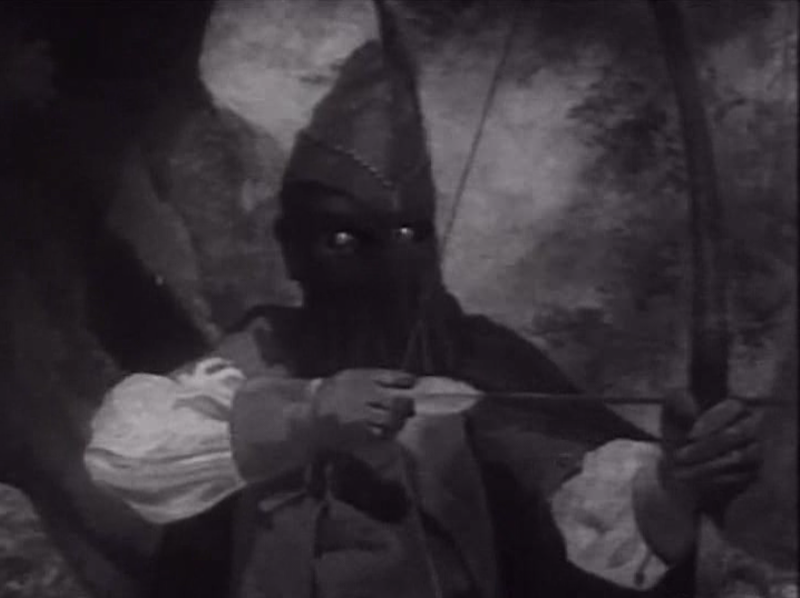 Aside from the loose cloth that covers his face, the Green Archer looks very much like the stereotypical medieval woodsman, with a peaked cap, tights, and jerkin. 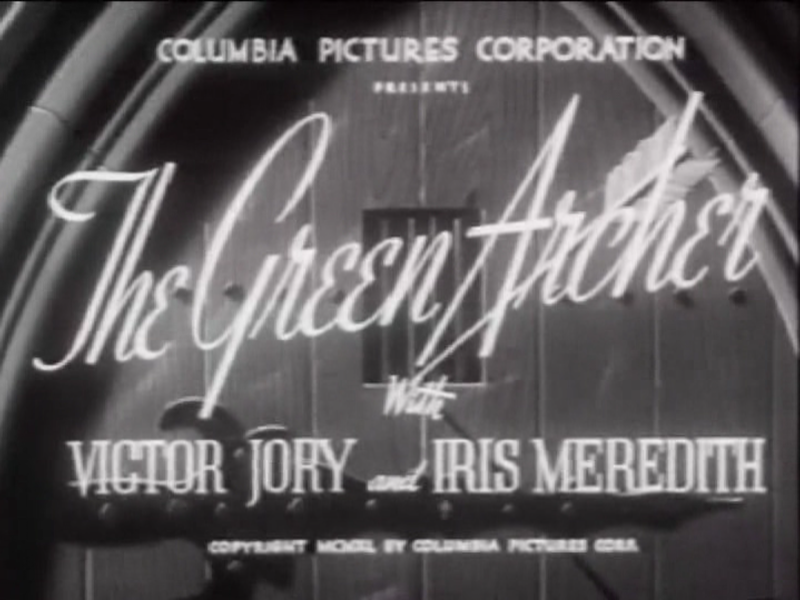 As in a lot of serials, there are several genres mixed together, but in The Green Archer the dominant idiom is gothic: although the compositions and staging rarely rise above competent, there are many scenes set at night or bathed in shadow, creating an oppressive gloom, and the fact that the heroes literally live next door to the villain (and the two parties are constantly crossing into each other’s territory through invasion or abduction) gives events an air of cat-and-mouse. More importantly, the castle is full of secret passages and listening devices, leading to overheard conversations and mysterious screams, and multiple tableaux of imprisonment and enclosure. All kinds of death traps await the foolhardy visitor to Garr Castle as well, including such classics as the spiked ceiling that slowly descends to crush its victims; the oubliette that fills with water; and even a false floor that gives way into a pit of flames. That’s not even mentioning the vicious guard dogs. Such things are clichés, already familiar to me in childhood from the Indiana Jones movies, Goonies (itself a throwback to the adventures of Our Gang, the Bowery Boys, and the like), and countless other shows, but they are presented in The Green Archer in a high style that reminds me more of Richard Sala or Lemony Snicket, artists who take such stock elements to mannered extremes, refining the iconography and intrigues of the genre into a nearly injectable concentrated form. Also gothic is the theme of the double that runs through this serial. No serial is as consistent in exploring and developing thematic symbols as a feature might be, but there are several instances of lookalikes and mistaken identity. The most notable is the fact that there are two Green Archers, one good and one evil. 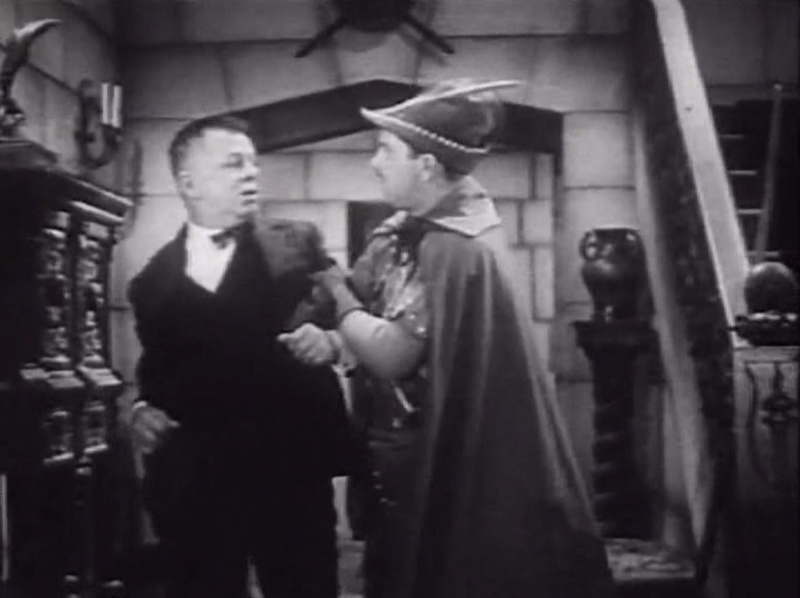 Sometimes the duplication is played for laughs, as when comic-relief henchman Dinky (Kit Guard) frequently attacks Brad, the Archer in Abel Bellamy’s employ, or when Dinky trusts the unknown Archer, thinking that it’s Brad in costume. Other times, the question of which is which is a matter of life and death. 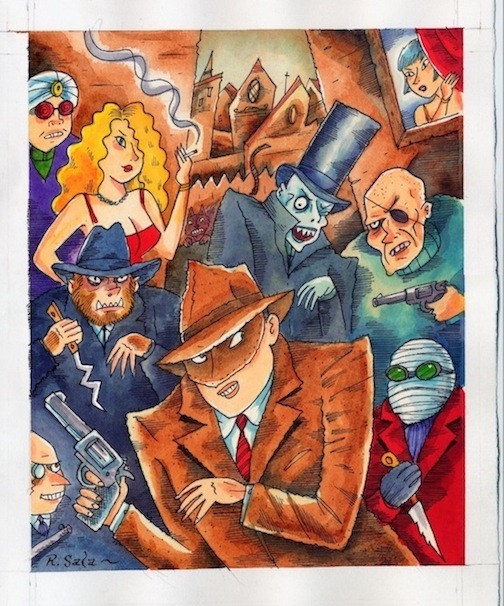 There’s also a two-chapter sequence in which Spike is impersonated by Madison, a master of disguise who makes himself up to look just like the investigator so he can steal a formula for synthetic radium (the only plot element that really dates the serial: as mentioned last week, secret formulas and inventions just waiting to be lifted by spies or criminals were all over the popular fiction of the 1930s and ’40s). Spike faces off against the impostor (who is of course played by Jory when “in disguise;” the inevitable fistfight gets around this by using wide shots and keeping hats firmly on both stunt performers’ heads), and for a while turns the tables by taking Madison’s place. More traditionally gothic is the contrast made between Abel the usurper and his brother Michael. The burdens of lineage are a frequent theme of gothic novels, and although Garr Castle isn’t cursed as such, it’s telling that Abel claims he has always hated the place and is happy to close it down. The phantom archer that protects the family is a symbol that Abel tinkers with at his peril: by using it for his own evil ends, he invites destruction. 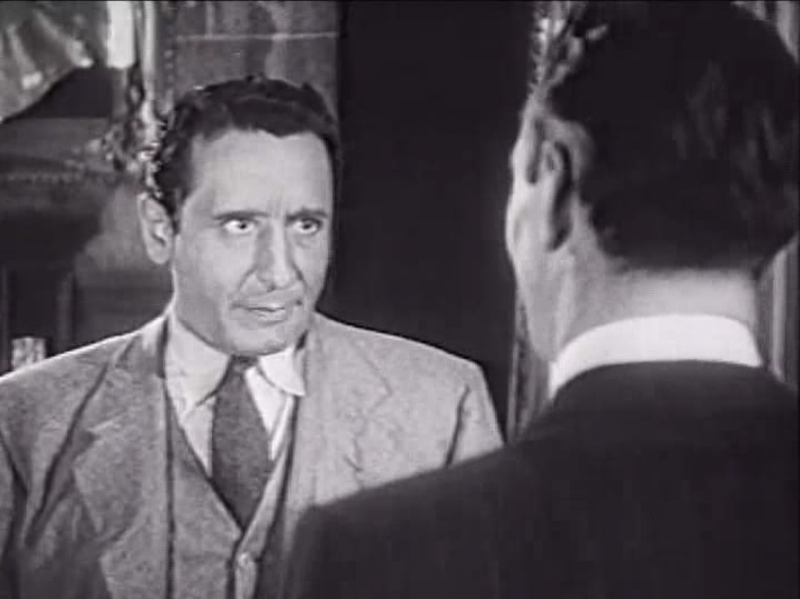 Abel Bellamy (James Craven) is a captivating villain, cool and arrogant, even amused that Spike Holland should be foolish enough to tangle with him, until things start to slip from his control and he starts to get rattled and increasingly unhinged. It’s the kind of role Vincent Price or Peter Cushing would get in a few decades, and Craven plays it to the hilt. 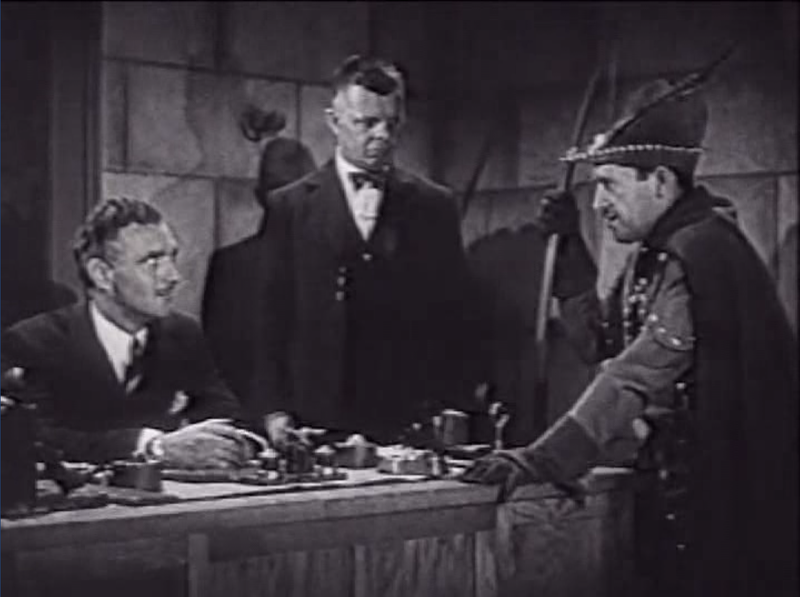 Without him and Jory as Spike centering the action, the multiple subplots and large cast of characters would spiral into confusion; although the Green Archer is the title character and a vital piece of the story, the conflict is really a chess game (or a card game; see below) between two expert players. 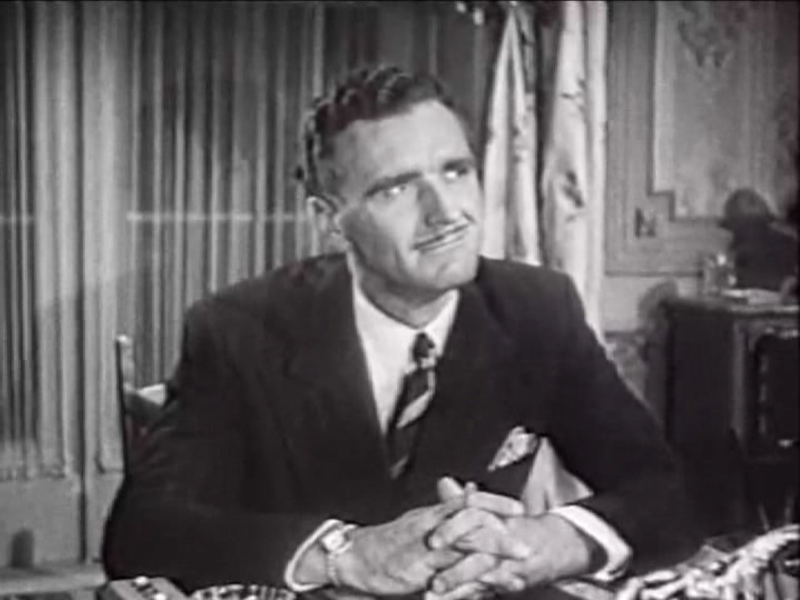 There are several characters who are primarily comic: bumbling police captain Thompson (Fred Kelsey) is easily turned against Spike and spends much of his time trying to apprehend the investigator. 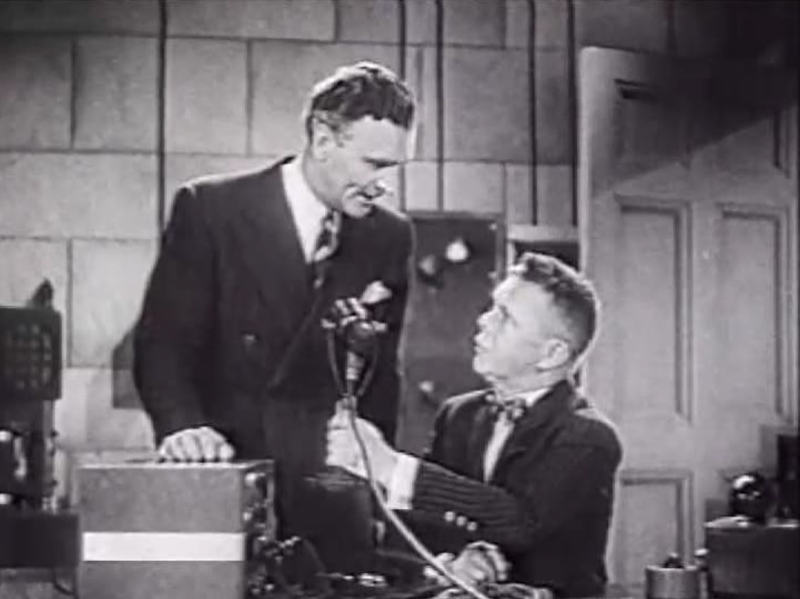 Bellamy’s henchman Dinky is apparently supposed to be English, calling his boss “Guv’nor” and intermittently saying his lines in a Cockney accent, and as mentioned he gets into lots of slapstick trouble when he can’t tell the two Archers apart. Dinky gets a few moments to shine at the end, however: of all Bellamy’s henchmen, he’s the only one who sticks with him and seems to care what happens to him. Still, for the most part I found this serial more over-the-top than deliberately ridiculous; a fine distinction, perhaps, but an important one. The Green Archer isn’t anywhere near as dark (or as well-executed) as the superior Gang Busters, but there’s a similar fascination with the underworld and the broad variety of types found among criminals. As for unintentional comedy, there are so many fistfights in this serial, and most of them begin so abruptly, that I came to expect one practically any time either the hero or the bad guys entered a room. The way the players charge at each other, you could add a ringside bell to the soundtrack to signal the beginning of the mayhem and it wouldn’t be too out of place. The fights don’t look quite as silly as those Columbia would stage for the Batman serials later in the decade, but that’s a low bar to hurdle. Compared to Columbia’s Batman, the Green Archer is seriousness incarnate: a creature of the night, able to strike terror into the hearts of criminals (a superstitious and cowardly lot), both a dark knight and a detective–hey, this is good stuff! Somebody should publish a graphic novel about this character. Where I watched it: Pacific Entertainment’s DVD, a sloppy transfer from an obvious videotape source. I wouldn’t recommend it unless, like me, you found it at a bargain price. 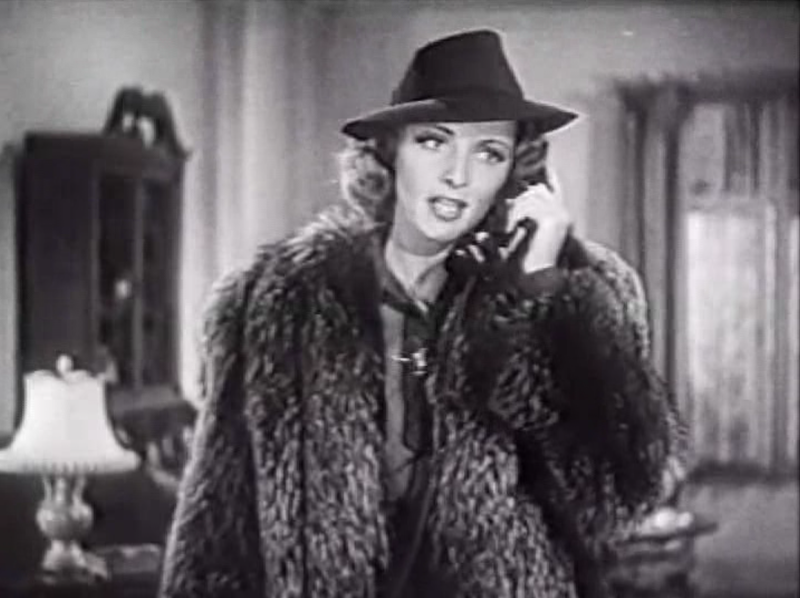 Best cliffhanger: Abel Bellamy’s criminal syndicate grows larger and more elaborate as the serial progresses and he calls in more exotic accomplices to get rid of Spike Holland. By Chapter nine (“The Mirror of Treachery”) he has lured Spike and Valerie (Iris Meredith) out to a roadhouse in the country, and when they make a break for it, Abel summons a “crook aviator,” a pilot who drops actual bombs on the couple’s car from a plane. They hide in a small roadside shack, which is completely obliterated by one of the falling bombs. Annie Wilkes Award for Most Blatant Cheat: There aren’t any examples of the “rewritten history” cheat, but there are a few cliffhanger resolutions that test credulity. Several times the Green Archer shows up to pull Spike out of a deathtrap, and in a few cases he shakes off seemingly life-threatening injuries. The most suspicious is at the end of Chapter ten (“The Dagger That Failed”), in which Spike opens a safe in Abel’s office, setting off a booby trap that blasts him with a double-barreled shotgun at point blank. Spike certainly looks as if he’s been struck, but at the beginning of the next chapter he recovers and is completely fine, without so much as a mention of a “bullet-proof vest” or other narrative excuse. Pretty fishy if you ask me. What’s next: Join me and help solve a mystery at the circus in Daredevils of the Red Circle!